Or view larger version. 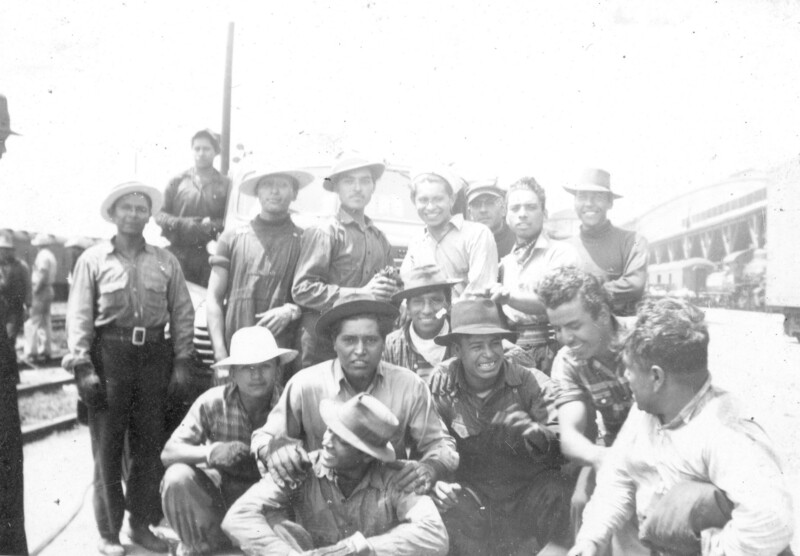 Bracero railroad workers. c. 1944. Unknown photographer. Gelatin silver print. Collection of the Oakland Museum of California. Gift of Jose Cruz. This photograph shows a group of Braceros posing for a picture while working on the Southern Pacific Railroad lines in Oakland, California. The Bracero program was an agreement between the United States and Mexico begun during World War II which offered Mexicans the opportunity to enter the U. S. for work and provided for transportation, health care, decent housing and a minimum wage.